Welcome to ReachMD. 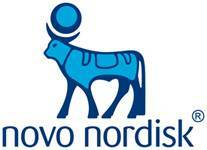 The following program “Role of the Cardiologist in T2D Management” is sponsored by Novo Nordisk. 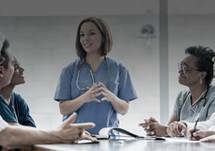 I’m Dr. Jennifer Caudle, and joining me to provide a unique insight around treating patients who have or at risk for both type 2 diabetes and cardiovascular disease, also known as CVD, is Dr. Christie Ballantyne. Dr. Ballantyne, thank you so much for being here. Well, we’re happy that you’re here. So, let’s begin. Why don’t you start by telling us a little bit about your clinical practice? I’ve been in practice for 30 years now. I see about 15 patients a week. I have an academic practice. We focus on preventive cardiology. It’s been about treating the major risk factors, lipids, hypertension and obesity, but also importantly, now, treat diabetes. Wonderful. And do you see many patients who have both type 2 diabetes and cardiovascular disease? Yes, and the number is increasing. We’ve made a lot of progress in some areas of preventive cardiology. Smoking is down, cholesterol is down, but, unfortunately, in the wrong direction obesity. And, in fact, what we see is this tremendous increase in obesity, diabetes. So, this is a very important problem, particularly in Houston. So, it’s really a very important area, not only for preventive cardiologists but, really, for everyone who is practicing in medicine. So, how do you go about moderating these risk factors? Well, we start off with lifestyle, and a lot of this begins with going over what’s the diet, what other choices they are making. We discuss nutrition, and very important is physical exercise, so we set weight goals, exercise prescription. And then we look at the risk factors comprehensively—lipids, blood pressure—and also, as we’ve mentioned, there are more people with diabetes. What’s happening in regard to their diabetes treatment, their glycemic control? And that has been, in the past, a very frustrating area, because I have seen patients who are overweight. I’m saying to lose weight and then they’re on therapies that make them gain weight, and it’s discouraging to people. It was in the past. So, one thing that has been really exciting is to have newer medications that don’t have this adverse effect. So, could you talk a little bit more about the cardiovascular outcome trials which have been completed for many of the type 2 diabetes therapies? Well, it wasn’t until the last few years that we actually had outcomes data, trials that looked at not just glucose control but also cardiovascular outcomes. So, obviously, as a cardiologist in prevention, to me it’s really exciting that we have some new information about therapies that address both diabetes and also cardiovascular disease and for patients it’s also motivating to see that there is data that addresses both type 2 diabetes and their risk of cardiovascular disease. Yeah, I can see that. So, let’s shift a little bit, and I’d like to get your take—your view, rather, on the ADA/EASD Consensus Statement that includes a recommendation for identifying and managing potential cardiovascular risk factors in patients with type 2 diabetes. Well, I think this new ADA/EASD Consensus Statement is really important to educate physicians and changes, in a way, our approach, because what you’re looking at is type 2 diabetes, and one of the first things is, “Do they have cardiovascular disease? What’s their risk for cardiovascular disease?” and that sets you on a pathway in regards to your treatment decision, so it’s really very important advice and important for practice. Understood. So, let’s talk a little bit about your colleagues. How do you interact with other physicians, that being endocrinologists or other primary care physicians, specifically around working holistically to treat patients with type 2 diabetes and cardiovascular disease? Well, it’s a very important question, and I have a referral practice, so I want to make sure I address their problem. They may send them for a lipid problem, but I see that there are other issues that are ongoing here, so we have to do comprehensive risk reduction. So, one of the things that’s been nice is the EMR. So, I can change, perhaps, something that they are sending them for, but if I see that there was something else that needs to be addressed—it may be their diabetes medication in a patient with cardiovascular disease—I can put a note in that. The other nice thing is, with our EMR we always have a printout that goes to the patient, and that’s also in their instructions, so the patient is on the same page and I’ve gotten communication to the referring physician. Now, you don’t always have in the same network, so then pick up the phone the old-fashioned way, call up with it, but it’s very important. These patients are on a lot of medications. They need to be given clear instructions about what’s the optimal therapy for them, and they need to hear it from multiple people, not only to get the medicine started, but also for adherence. As we know, adherence is a big issue, and so we all have to be on the same page. We’re giving them advice. They have to follow that to manage their way through treating a chronic disorder. So, Dr. Ballantyne, what would you say is the role of cardiologists who are not preventive cardiologists like yourself when it comes to the management of patients with type 2 diabetes and cardiovascular disease? Well, if you’re a cardiologist and you’re seeing a patient for cardiovascular disease, you want to manage that. What we’re saying is… I think it’s a tremendous evolution right now, and to give an analogy, if you’re to go back when I first started, cardiologists thought, “Well, treating lipids is not part of my job.” But now, all cardiologists will say that, “Gee, comprehensive risk factor reduction, if someone’s had an MI or they’ve got coronary disease, I need to do what I can.” Just as the same way you’re going to treat lipids and blood pressure, then you need to have comprehensive risk factor management. So, I think it’s a new era. It doesn’t mean that the cardiologist is always going to be the one writing the medication, but they need to make it clear that there are therapies that are beneficial, and the patients need to know, and the referring physicians, primary care, cardiologists have a really important role in terms of what the patients are looking to in their primary physicians. So, we have to all be up-to-date on the new guidelines and the new evidence. And that’s absolutely correct. I couldn’t agree more. And before we close, is there anything else you would like to add? Well, I’m excited about the type 2 diabetes treatment options. They provide glycemic control along with CVD risk reduction. It’s really, for someone who’s a preventive cardiologist, very exciting news. So, with these valuable insights in mind, I really want to thank Dr. Ballantyne for joining me today and discussing the role that cardiologists play in the management of type 2 diabetes. Dr. Ballantyne, thank you so much for being here. 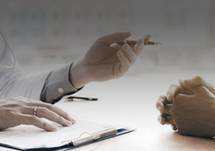 Endocrinologists should not be the only physicians who have a hand in type 2 diabetes management. 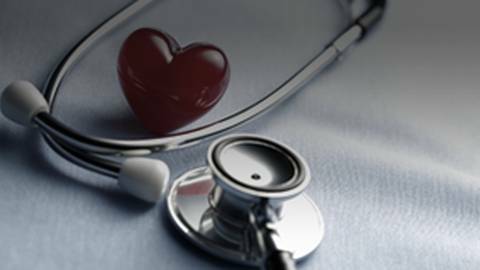 With the number of patients with both type 2 diabetes and established cardiovascular disease on the rise, a personalized patient approach to treating these two conditions is now more important than ever. 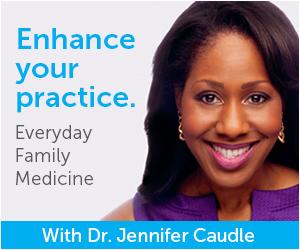 Joining Dr. Jennifer Caudle to discuss the role of the cardiologist in managing patients with type 2 diabetes is Dr. Christie Ballantyne.